ConceptDraw DIAGRAM provides a number of templates that are supplied with Solutions. 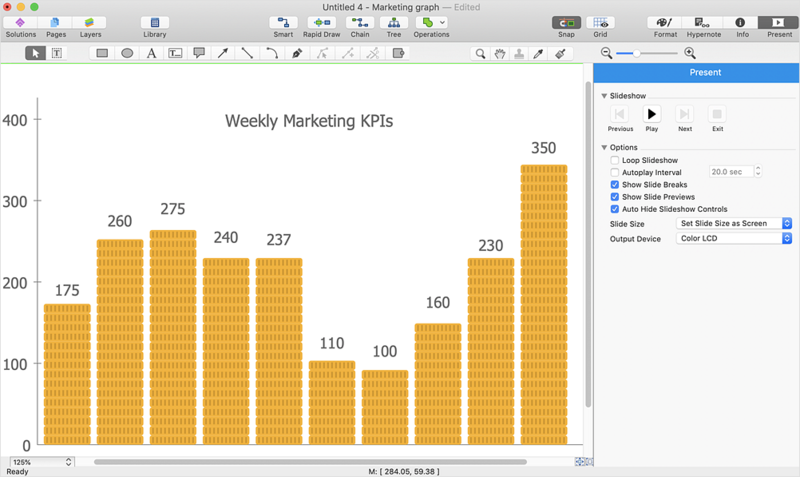 ConceptDraw DIAGRAM lets you create and customize your own diagram templates. A template diagram is a drawing that serves as a starting point for a new graphics document. When you open a template, it is pre-formatted in some way. For example, you might use a template that is formatted as an organizational chart. The template would likely have a workspace and corresponding object libraries. When you save a file created with a template, you are usually prompted to save a copy of the file, so that you don't save over the template. Templates can either come with a proper solution or can be created by the user. If you find yourself creating similar documents over and over again, it might be a good idea to save one of them as a template. Then you won't have to format your documents each time you want to make a new one. Just open the template and start from there. Thus you do not need to set up the work-space and document properties each time when you start creating your favorite drawings. You can apply the diagram template that you previously saved. You can set up your template as default start page. Open proper libraries and create a diagram you want to use as the further Template. Save your template using the Save as ConceptDraw Template option. Open ConceptDraw DIAGRAM Preferences, the Document section and select the option New Document with Start Template. Browse the Template and press OK.